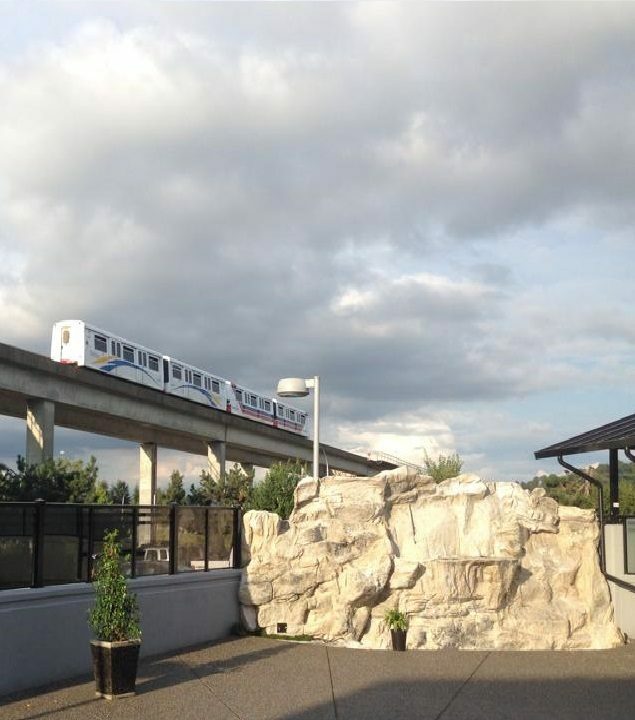 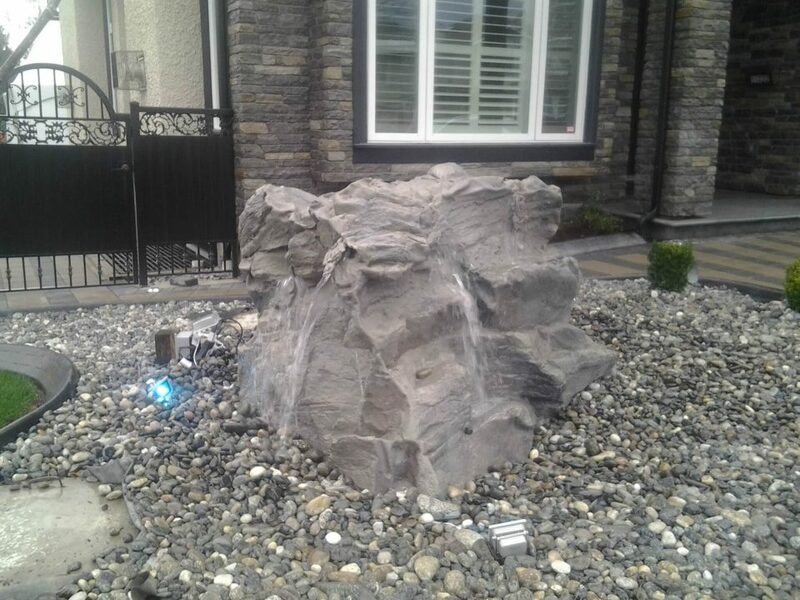 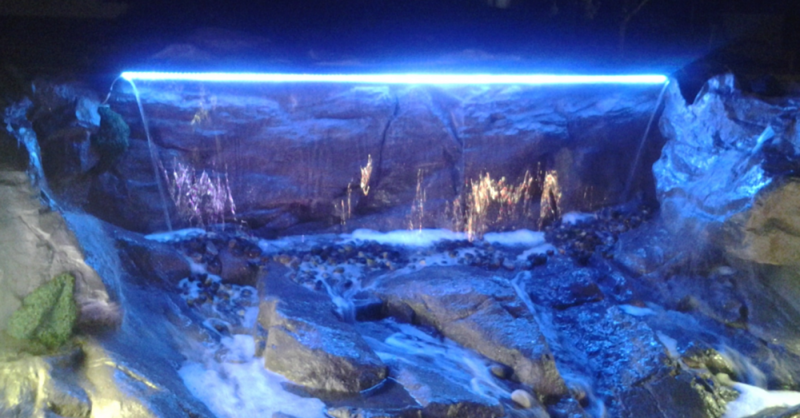 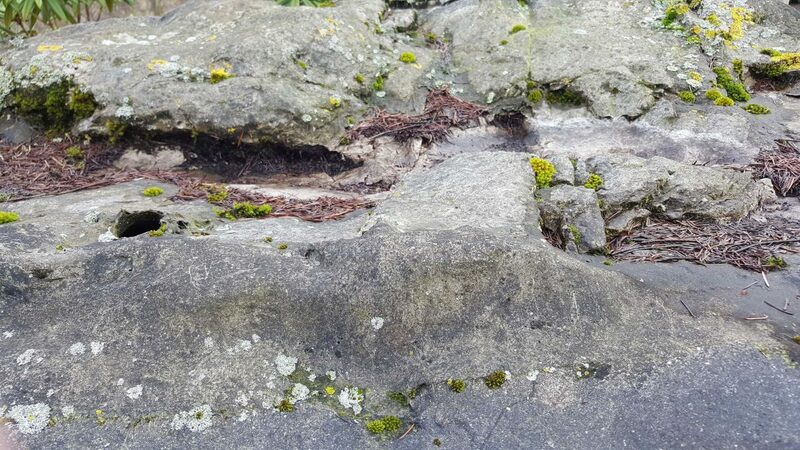 Rocky Waterfall designs, manufactures (Surrey, BC), delivers, and installs hundreds of custom made artificial rock waterfalls every year at very competitive prices. 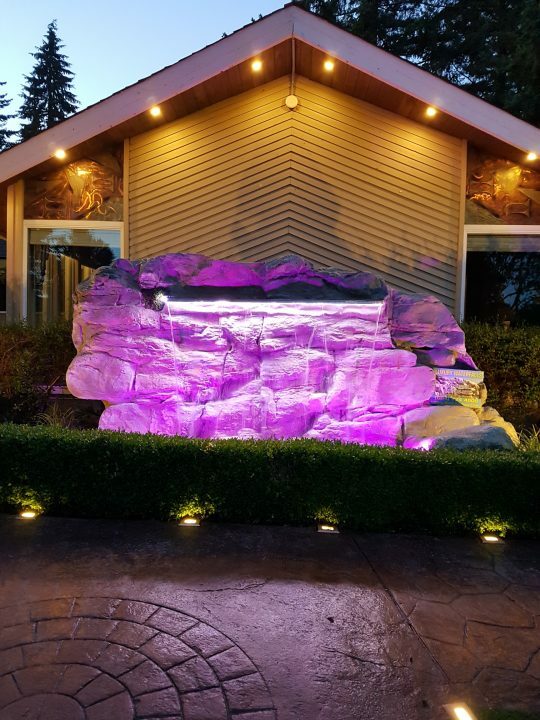 Most custom rock waterfalls we build are priced from $5000 to $10,000 +taxes. 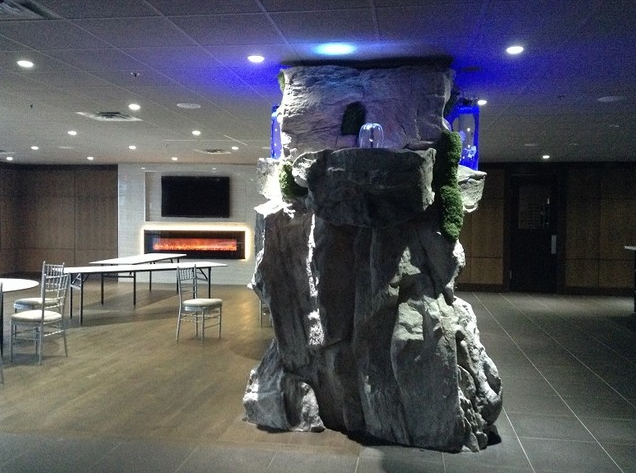 We also ship custom rock formations as well as panels globally. 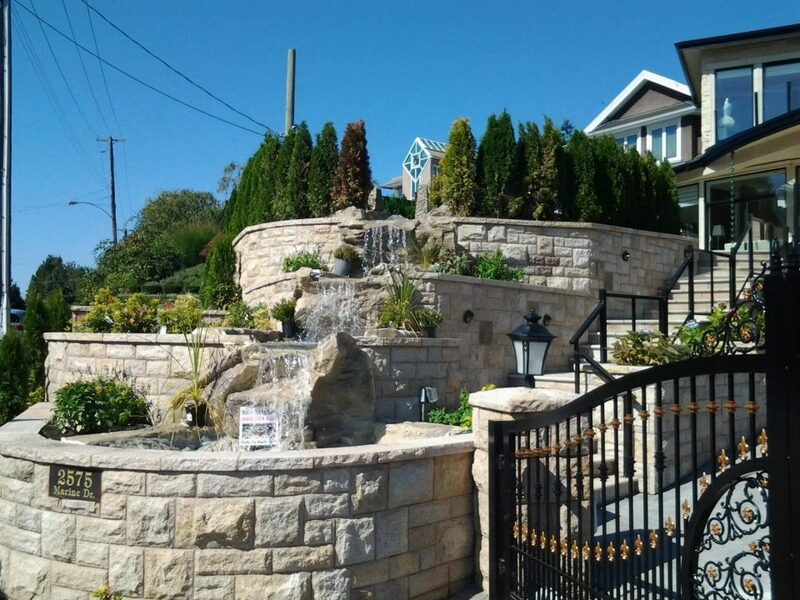 Call or email us today for a complimentary consultation and receive the most competitive rates on all faux rock work. 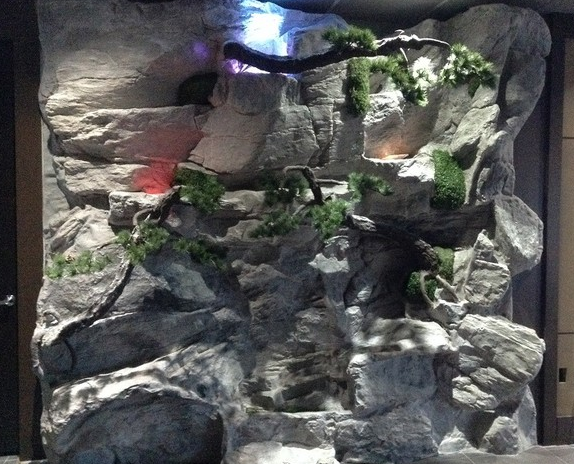 Our prefab rock panels are molded from real cliffs so every detail is replicated. 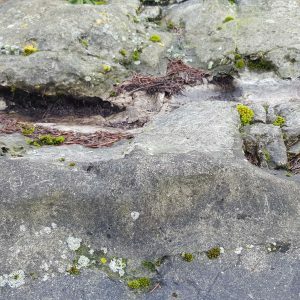 Our rocks are lightweight yet very strong. 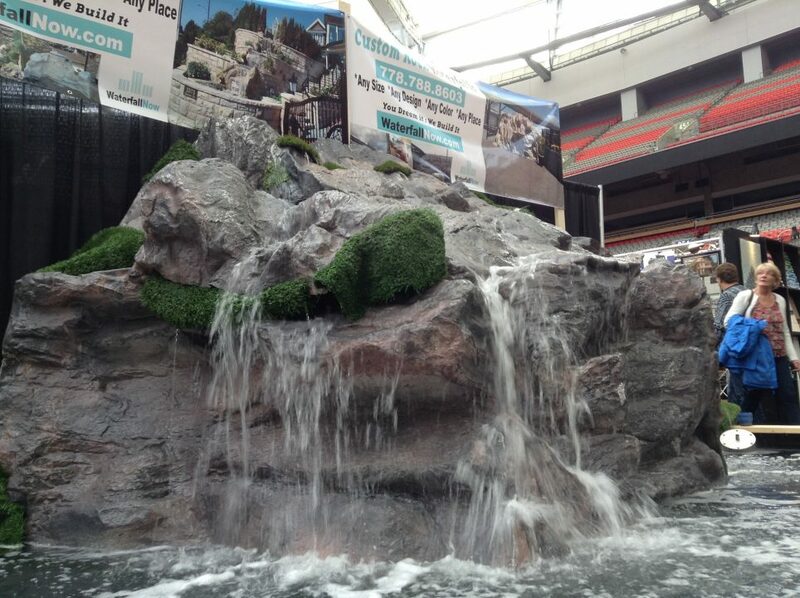 Perfect for exhibitions and landscaping. 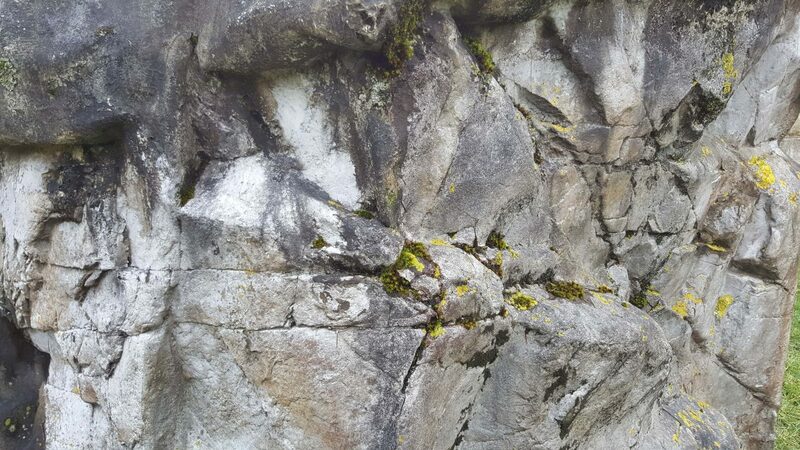 Our artists can paint the rocks to a realistic finish. 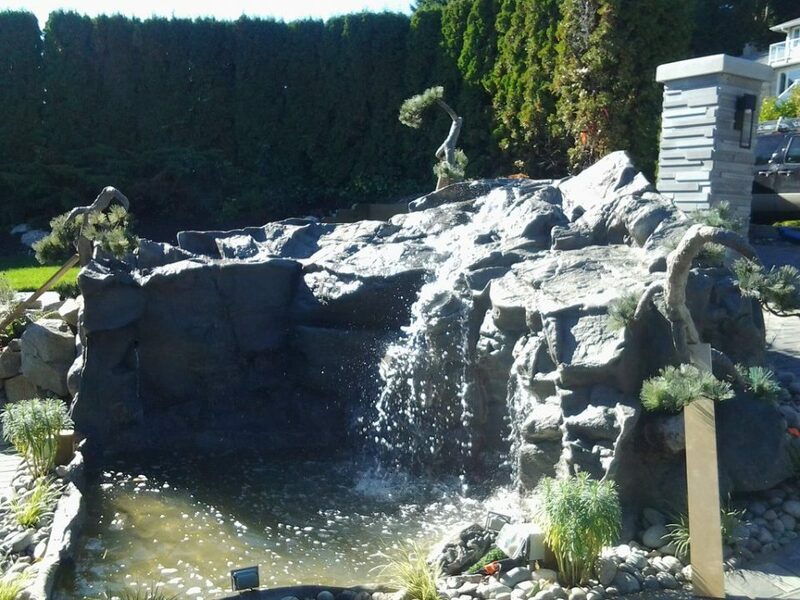 We are able to mold and recreate many different surfaces including tree bark, ice, metal, brick, rock, and more . 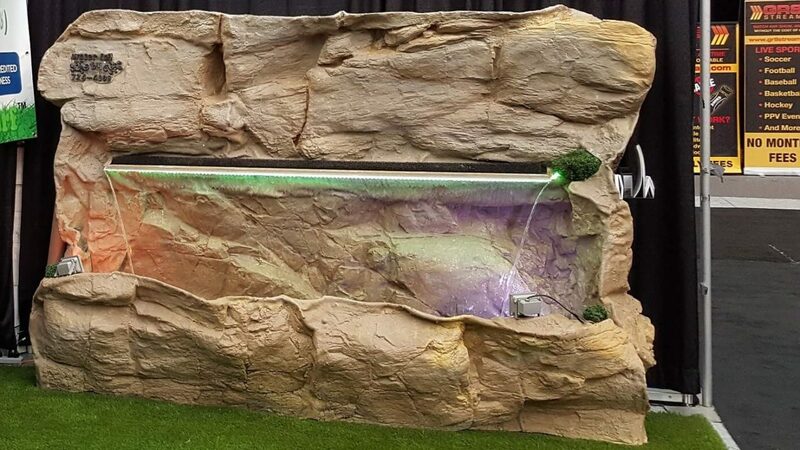 Combined with greenery, these artificial rocks make an excellent addition to unique environments such as green roofs, backyard resorts, retail displays in the outdoor apparel industry, museums, hotels, malls, and more! 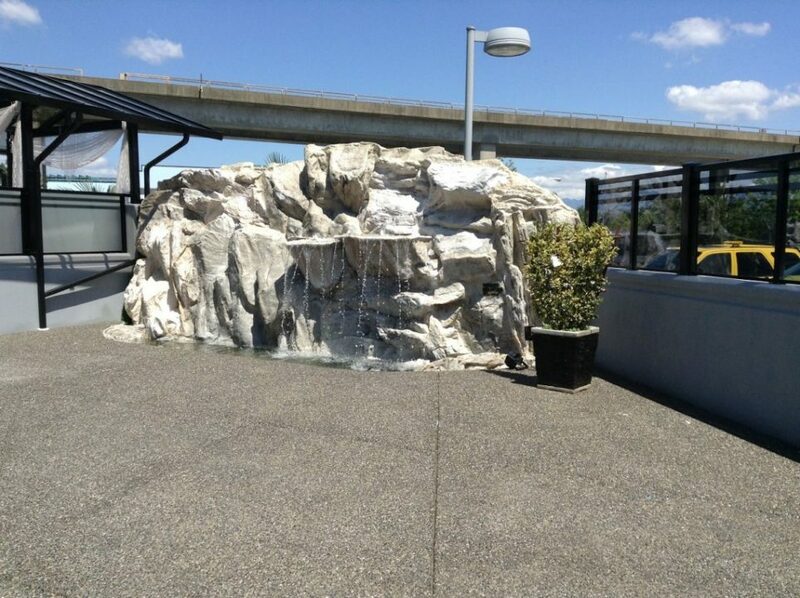 Our hand-crafted lightweight GRP (glass reinforced plastic or plaster) rocks with a hollow underside. 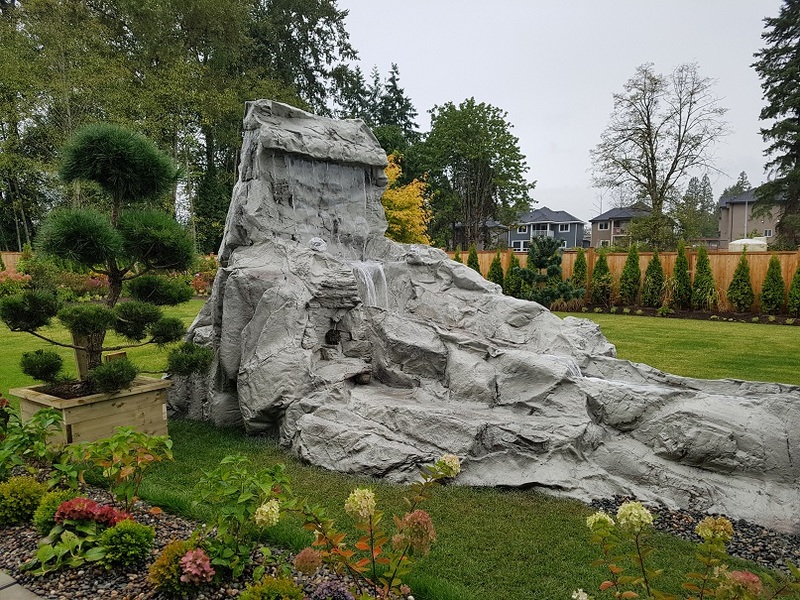 These very realistic creations are suitable for display use and landscaping where access is difficult and weight restrictions apply. 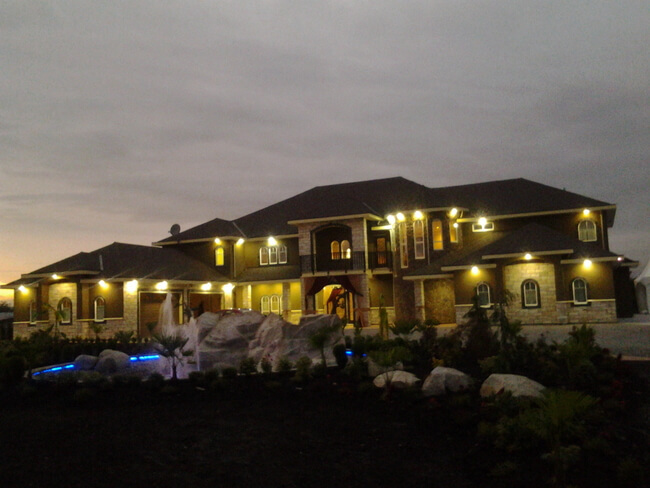 We can build anything virtually anywhere in Canada, USA, and abroad. 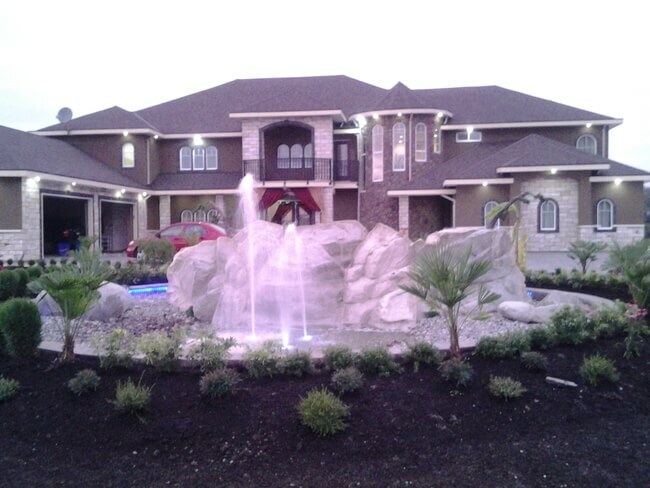 Our dedicated team is able to assist you with creating your dream waterfall feature. 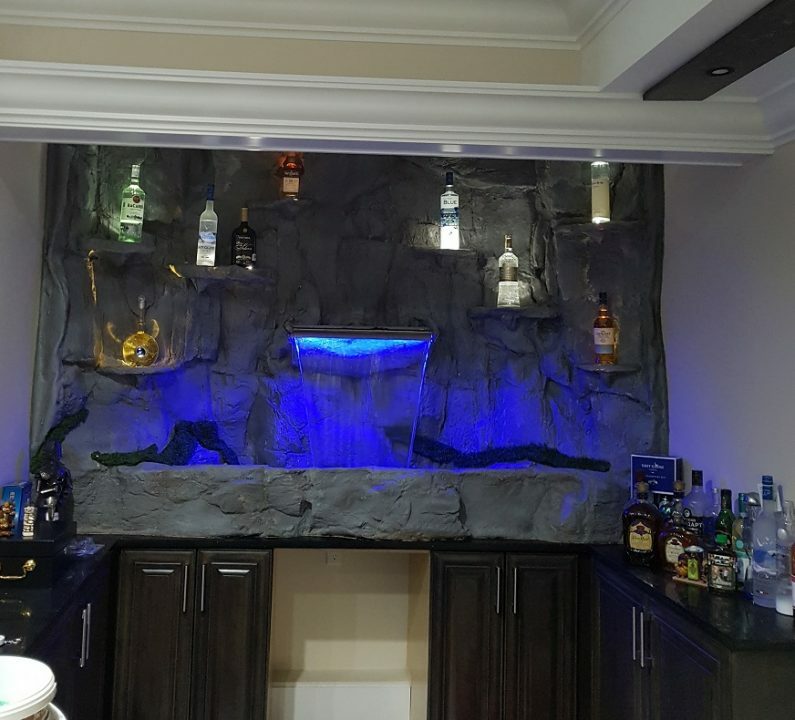 Made using a blend of natural and synthetic materials. 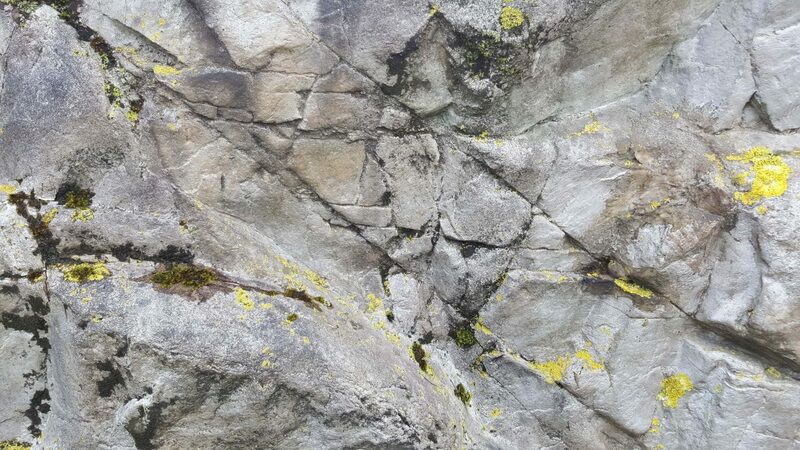 The tough kevlar-like backed membranes offers the most realistic look and texture on the market.  Very lightweight without weight restrictions. 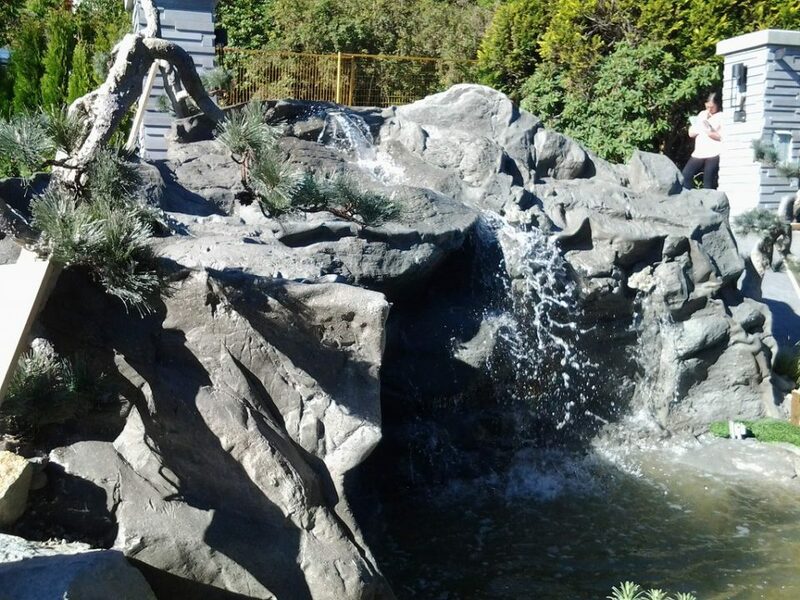 Build massive waterfalls at scale in less time with smaller crews and with less mess. 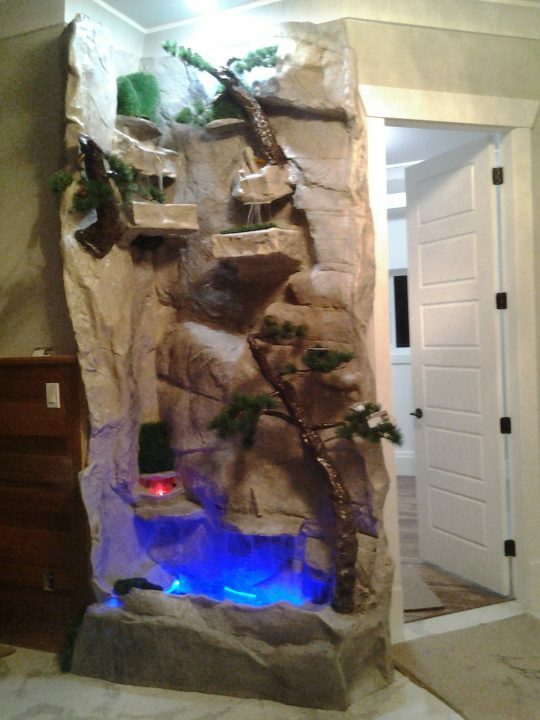 Want a natural looking waterfall inside your home without weight issues or a big mess? 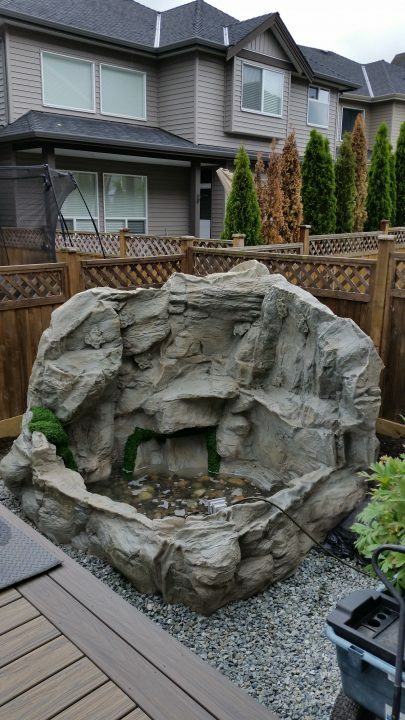 We build lightweight and durable rock waterfalls that can be designed to fit any space. 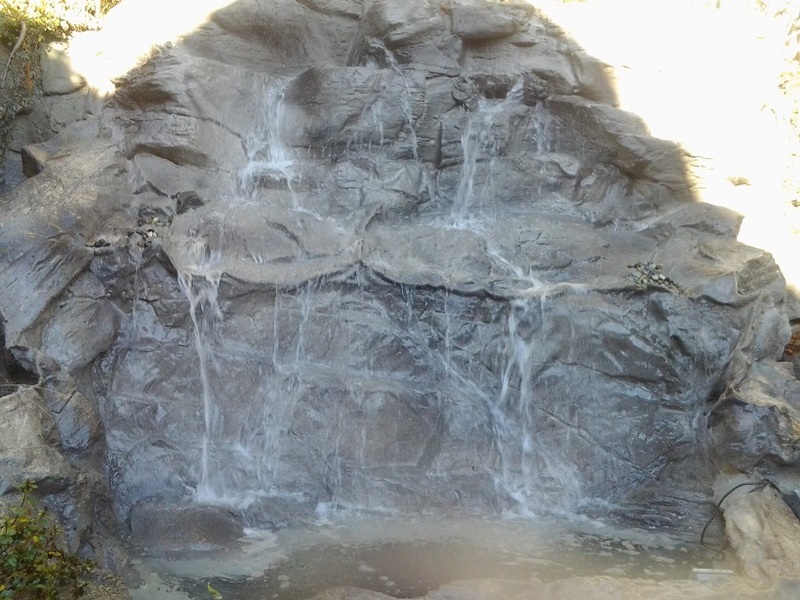 Choose your Rocky Waterfall. 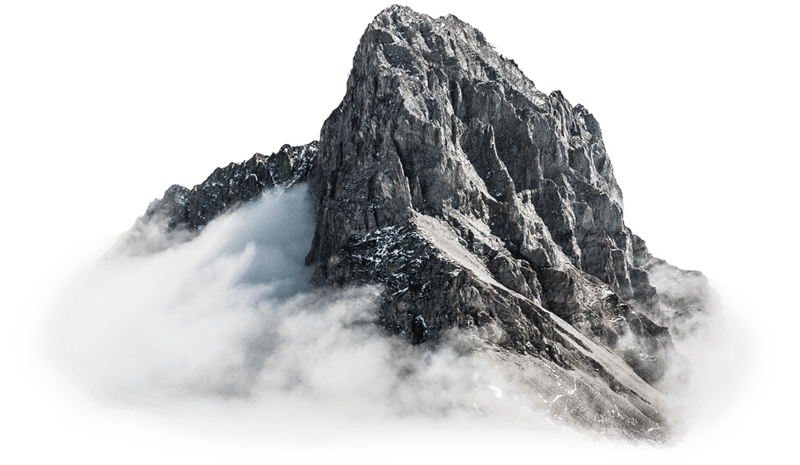 All Features Are Built From Scratch. 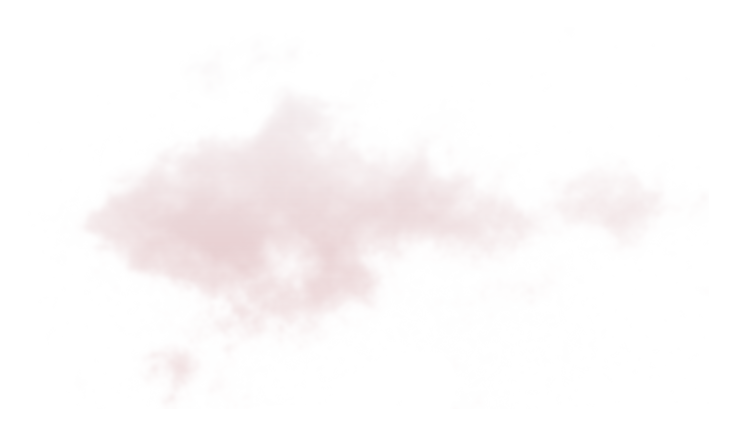 Our quality standards apply also in terms of service, technical experience and advice. 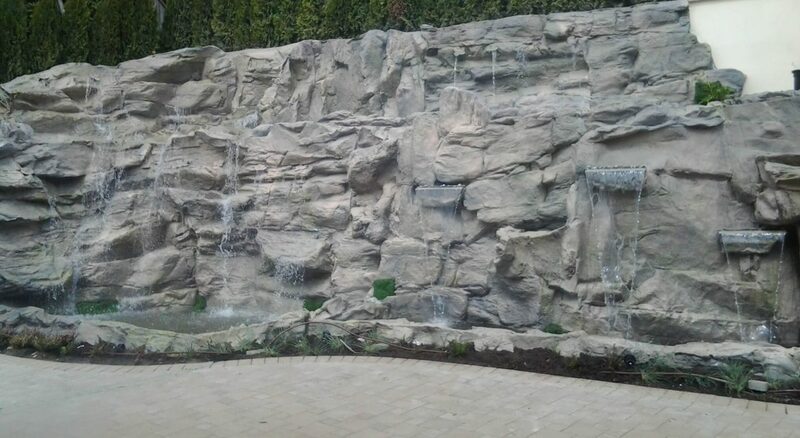 Rocky Waterfall (a subsidiary of WaterfallNow) offers what we believe are the most realistic looking artificial rock panels on the market. 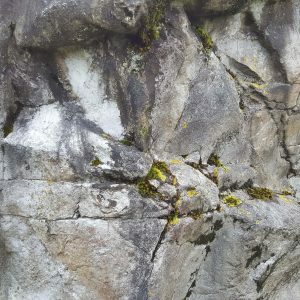 Each artificial rock is hand-laid and every project is uniquely designed. 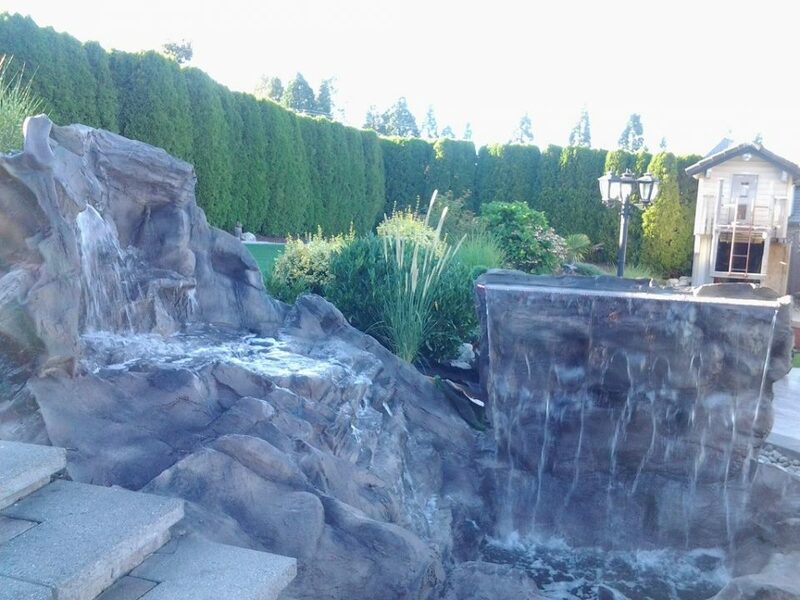 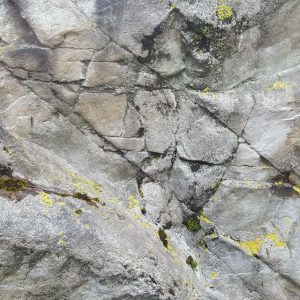 Our team of faux rock artists with different sets of skills are able to create artificial rock walls and waterfalls virtually anywhere you can imagine. 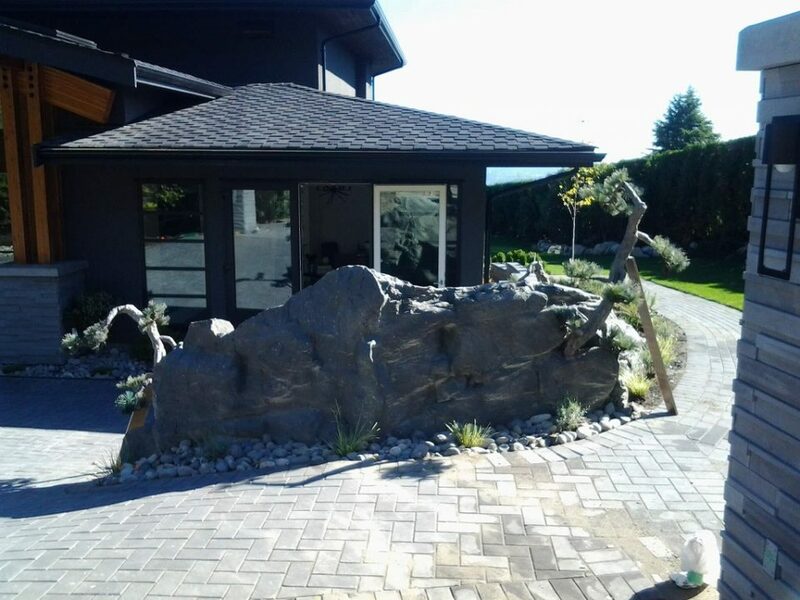 Our artificial rocks often look better than real rocks when surrounded by plants. 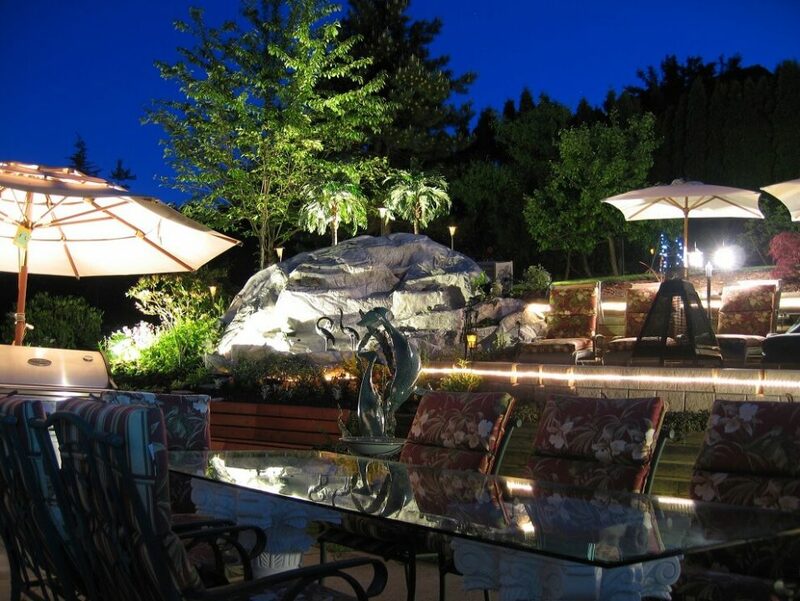 We strive to provide low-cost/high-quality solutions. 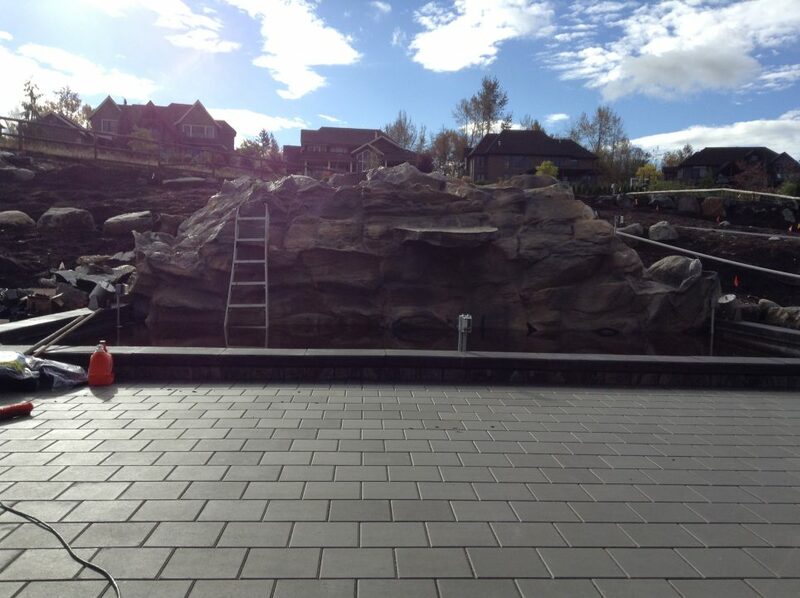 Call or email us for a reasonable quote and receive a variety of options! 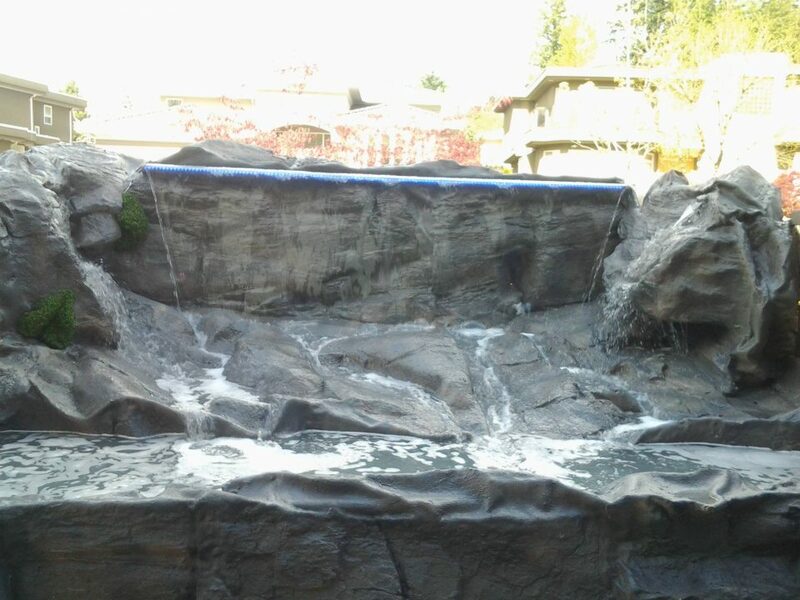 Serving Surrey, New Westminster, Richmond, Burnaby, Coquitlam, Port Moody, Horseshoe Bay, White Rock, Langley, Delta, Abbotsford, Vancouver, North Vancouver, West Vancouver, Lower Mainland, British Columbia, Canada.